switch to another Medicare Advantage Plan (with or without drug coverage). Join a Medicare Prescription Drug Plan if you in Original Medicare. Switch from one Medicare Prescription Drug Plan to another if you are in Original Medicare. The New Year is a time when many people pledge to lose weight and be more organized, but it's also a good time to resolve to better protect your family's home and belongings with an annual homeowners insurance review. Why is a yearly check-in with your insurance agent important? THE BENEFITS OF AN ANNUAL INSURANCE REVIEWMany homeowners purchase an insurance policy when they first move in, but they may not understand the importance of periodically reviewing it or reassessing their needs. It's an oversight that can ultimately lead to a gap in their coverage. For instance, you may have insured your home for $200,000 when you first bought it. A decade later, your home may cost $300,000 to rebuild. That's a $100,000 gap in coverage—which could leave you without the proper resources to rebuild in the event of a loss. A home renovation or upgrade is another reason you may want an insurance review. It can help ensure that your home and belongings are fully protected, and that your coverage is keeping up with your current needs. Everything from new furniture to a kitchen upgrade can affect the value of your family's home, and may even qualify you for additional discounts on your insurance policy. One way to evaluate your needs is to conduct a home inventory, a detailed catalogue of all your possessions. TIPS FOR TALKING WITH YOUR INSURANCE AGENTDespite what you might think, though, an insurance review doesn't have to be an involved, time-consuming endeavor. A single conversation or a visit with your agent can help make sure that you're knowledgeable about your coverage and comfortable that your limits are meeting your current needs. "Does my policy provide enough coverage to rebuild my home today?" Many homeowners are surprised to learn that their policy is outdated and does not provide sufficient coverage to rebuild their existing home. Changes in construction costs (they can vary from year to year), upgrades to a kitchen or bathroom, new kitchen appliances, or updates to a basement can all affect the cost to repair or rebuild your home. For example, new finishes in your kitchen can change your existing kitchen from "standard" to one that's considered "semi-custom" or "custom." Since insurance companies replace lost items with "like kind and quality," it is important to estimate the full cost of replacing finishes, appliances, electrical systems and plumbing systems in determining your coverage. "How does a newly finished basement affect my policy?" A finished basement may not only increase the cost to rebuild your home, but it may also require additional coverage to protect items from water damage. For example, optional water backup coverage will help protect new furniture and carpet in your basement if a sump pump breaks or a drain backs up. "Does my policy provide enough coverage for landscaping or outdoor appliances?" Installing a new sprinkler system, a larger storage shed, a new pool or hot tub, or buying a substantial backyard grill or riding mower are outdoor changes that may require a homeowner's policy upgrade. Updating landscaping and purchasing new lawn equipment or outbuildings can be significant investments that should prompt a coverage review. "Do I need extended coverage for valuables?" Your existing policy provides standard coverage for your home and belongings, but this coverage may not be sufficient for all your valuables and is frequently overlooked. For instance, you may need additional coverage for wedding rings, valuable golf clubs or other sports equipment, family heirlooms and antiques, musical instruments or artwork in your home. If you have a new home office that you run a business from, you might consider extended coverage to protect your business property. "Do I qualify for discounts?" An annual insurance review can also be an important opportunity to ensure you are receiving all possible discounts on your homeowners policy. For example, you may qualify for a discount if you have installed a security system, a smoke alarm or a hail-resistant roof. Additional discounts may apply if you insure both your car and home with Allstate, if you don't have any claims, or if no one in your household is a smoker. 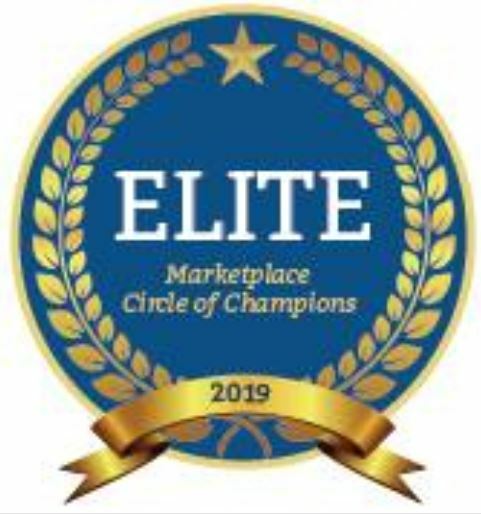 The MarketPlace Declares Trout Insurance "ELITE"
Haywood Regional announced the launch of a toll-free helpline designed to help Medicare beneficiaries select a health plan that fits their needs and budget while also keeping in-network access to the doctors and hospital services they trust. Through this program, it will be easier for Medicare beneficiaries to find a plan that is in-network with Haywood Regional and its affiliated doctors. Patients can access the helpline through a link on the hospital’s website MyHaywoodRegional.com/Medicare or by calling 855-582-5181. In addition to providing assistance throughout the plan application and enrollment process, agents of MedicareCompareUSA can provide an annual review of an enrollee’s Medicare coverage during Medicare’s annual enrollment period. Doing so assures that beneficiaries have the information they need to proactively select a plan that best meets their specific needs, preferences and budget while retaining continuity of care with their providers. Harkleroad points out that Haywood Regional is not in-network with all insurance options or health plans, and contractual relationships may change on an annual basis. If a patient enrolls with a health plan with which Haywood Regional does not have a contract, they may experience increased out-of-pocket expenses for receiving care from the doctors they know and trust. Haywood Regional Medical Center, a Duke LifePoint Hospital, is located in Haywood County and offers a comprehensive array of services, including orthopedics, spine services, cardiology, general surgery, women's care, emergency medicine, behavioral health and includes 12 multi-specialty physician clinics. Potato chips are one of the greatest comfort foods on the planet and when they’re hot and fresh… that’s all the better! Most people don’t know North Carolina is home to a restaurant dedicated to piping hot chips doused with a variety of gourmet toppings. Take a peek below. At The Gourmet Chip Company you'll find an entire menu filled with flavorful chips topped with gourmet creations. But that's not all; there's plenty more than their delicious chips on the menu. They have a variety of panini sandwiches to pair with your choice of delectable chips topped with only the freshest and most flavorful ingredients. You'll also find locally crafted beers and a variety of soda flavors from Boylan (using pure cane sugar). The Gourmet Chip Company is located 43 1/2 Broadway St., Asheville, NC 28801. It’s open seven days a week beginning at 11:00 a.m. and closes at 7:00 p.m. every day except Sunday when it closes at 6:00 p.m. If you’re approaching the age of 65, in addition to considering life without an alarm clock, you need to consider your health insurance options very carefully. A form of Medicare most likely will be your main health insurance. Because there are so many options, it can be complicated. I’ll break the basics down and share some resources to help you make the right decision. Don’t wait to think about your options! When you turn 64, here is a great month by month checklist of things to consider. Medicare is a federal insurance program. To qualify you must be 65+, under 65 with a disability or have an end-stage renal disease. According to Medicare.gov, if you don’t enroll when first eligible you may pay a penalty and have a gap in coverage. An exception to this is if you have other credible coverage like a health insurance plan from your employer. You can keep Original Medicare only (the Federal program) and in addition, you may purchase a Medicare Supplement plan to help with the copays and deductibles that Original Medicare does not cover. You can replace Original Medicare with a Medicare Advantage plan (from a private insurer who has a Medicare contract to administer benefits). Many do this because of the additional options they offer. This year’s open enrollment to purchase a Medicare Advantage or Part D plan (prescription drug coverage) is Oct. 15 – Dec. 7. MEDICARE PART A AND B PLANS (ORIGINAL MEDICARE)This is what we call original Medicare which the government administers. The premium is deducted from your monthly social security check. Medicare Part A covers inpatient hospital stays, skilled nursing facilities, hospice care, and some home health care. You will not have copays but will be required to pay coinsurance. Medicare will pay 80 percent of the medical expenses approved by Medicare while you will be responsible for the remaining 20 percent. Original Medicare does not cover most prescription drugs or other services private insurers may offer. MEDICARE SUPPLEMENT (MEDIGAP)A Medicare Supplement (Medigap) policy is an additional option when purchasing Original Medicare. It’s sold by private insurers and helps pay some or all the health care costs that Medicare doesn’t cover, like copayments. coinsurance. deductibles. MEDICARE ADVANTAGE PART C PLANSThis type of plan is administered by a private health insurer. 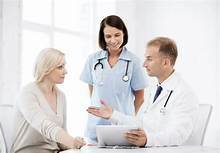 These plans, in addition to offering everything Original Medicare provides, offer additional features and benefits that you may not get with a Medicare Supplement plan.Most of these plans include prescription drug coverage and have in-network doctors. You would pay your premium directly to a private insurer and maintain lower out of pocket costs if seeing network doctors. When selecting a Medicare Advantage Plan you would still be required to pay your Medicare Part B premium, normally deducted from your social security check. MEDICARE PART D (PRESCRIPTION DRUG COVERAGE)This type of plan is administered by a private health insurer. Medicare Part D is a standalone prescription plan that helps cover your prescription needs and is typically paired with a Medicare Supplement plan. Many Medicare Advantage plans have Part D drug coverage, but there are some that offer medical benefits only. You are not allowed to have both a Medicare Advantage plan and a stand-alone Part D drug plan. Changes range from an early close of the donut hole to expanded Medicare Advantage plan benefits. Now 53 years old, Medicare has higher rates of satisfaction from its 60 million members than almost any other form of health insurance. It is about to get better. Here are seven improvements to Medicare that will take effect in 2019. Some of the changes will affect all beneficiaries while others will apply just to individuals who select Medicare Advantage plans. An expensive element of the Medicare Part D prescription drug benefit requires enrollees with high prescription costs to pay more for their medicines after they reach a certain level of spending in one year. This creates a coverage gap – also called the “donut hole.” After a beneficiary’s out-of-pocket spending reaches a second threshold, they enter catastrophic coverage and pay substantially less. Under the Affordable Care Act (ACA), the donut hole was scheduled to close in 2020. But the spending bill Congress passed in March will close the donut hole for some certain brand-name drugs in 2019. The gap will close for generic drugs in 2020. Beneficiaries of original Medicare won’t have to pay the full cost of outpatient Physical, Speech or Occupational therapy because Congress permanently repealed the cap that has historically limited coverage of those services. Beginning in January, Medicare Advantage plans have the option to cover meals delivered to the home, transportation to the doctor’s office and even safety features in the home such as bathroom grab bars and wheelchair ramps. To be covered, a medical provider will have to recommend benefits such as home-safety improvements and prepared meals. Medicare Advantage plans also will have the option to pay for assistance from home health aides, who can help beneficiaries with their daily activities including dressing, eating and personal care. 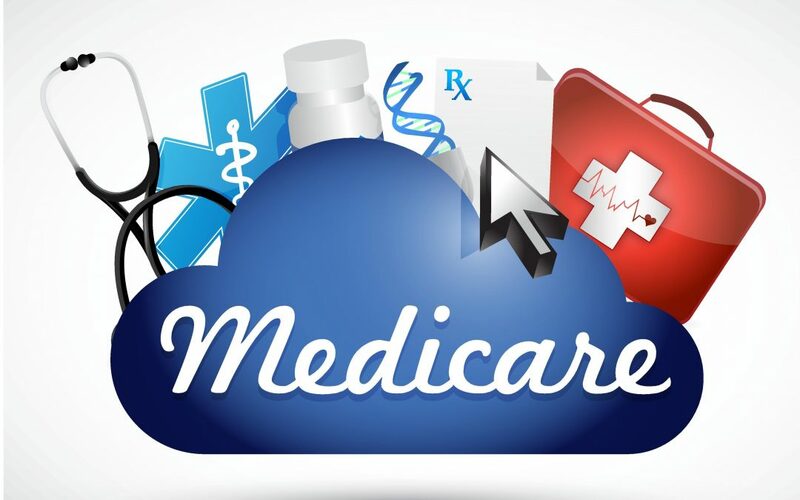 These benefits represent a revised and broader definition of the traditional requirement that Medicare services must be primarily health related. To enroll in Medicare 2019, fill our our Medicare Enrollment form and complete the information. New regulations will let people try an Advantage plan for up to three months and, if they aren’t satisfied, they can switch to another Medicare Advantage plan or choose to enroll in original Medicare. Congress required this flexibility in the 21st Century Cures Act, designed to accelerate innovation in health care. If you're looking for cheaper health insurance, a whole host of new options will hit the market starting in October 2018. ​"These are a niche product, always have been," says Doug Badger, a visiting fellow at the conservative Heritage Foundation in Washington, and a senior fellow with the Galen Institute. "It's simply another choice for consumers that for many is more affordable than the other products available," he says. United Health Care and National General say they plan to offer short-term plans in several states, including North Carolina Plans range from one with a $12,500 annual deductible for less than $80 a month to one with a $1,000 deductible for about $250 a month. The policies don't cover prescription drugs and pay about 80 -60 percent of the cost of hospital visits after the deductible and co-payment. Source: National Public Radio; Morning Edition Oct 1, 2018. Adapted. You’ve worked hard to create a successful business, now learn how to protect it! In this workshop, we will discuss various risks to your small business and how to safeguard your business, your customers and yourself. Topics discussed will include best business practices involving cyber security, staff, finance, insurance, and planning.